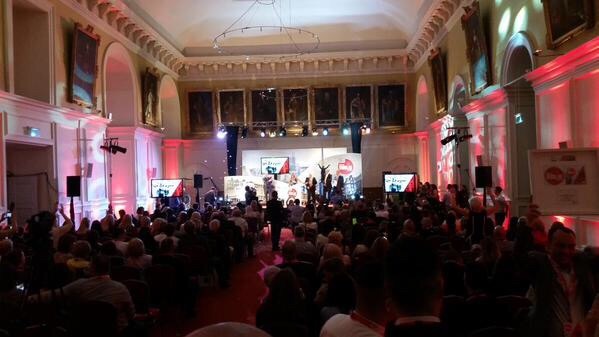 The 98fm Best of Dublin Awards took place last night in the elegant surrounds of the Royal Hospital Kilmainham. 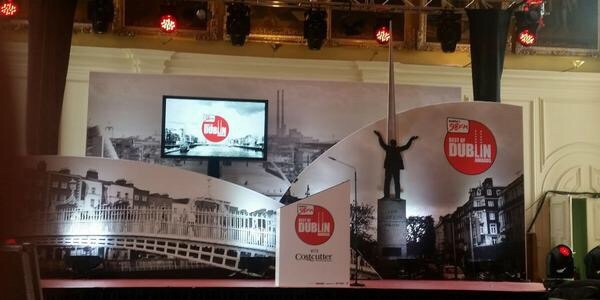 I loved the idea of the awards and jumped at the chance to get involved, because it’s all about celebrating the people and businesses that make Dublin the incredible city that it is. 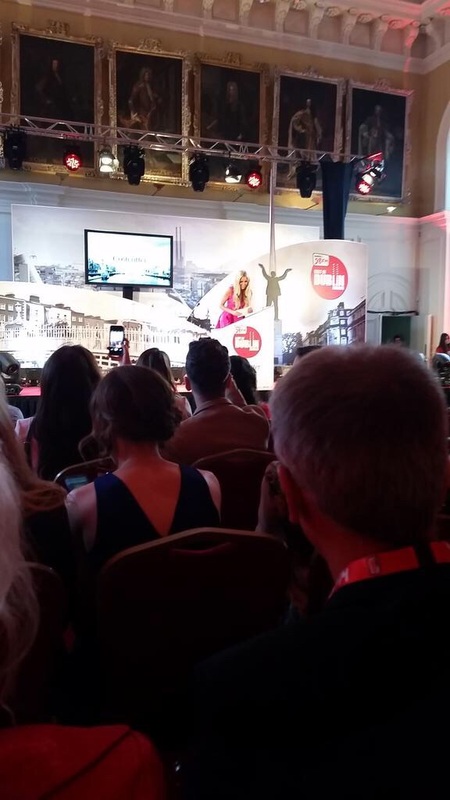 Various awards were handed out to the best restaurants, beauty salons, nightclubs, transport companies amongst many more, and the atmosphere was raucous in the huge hall as the winners began to receive their awards! 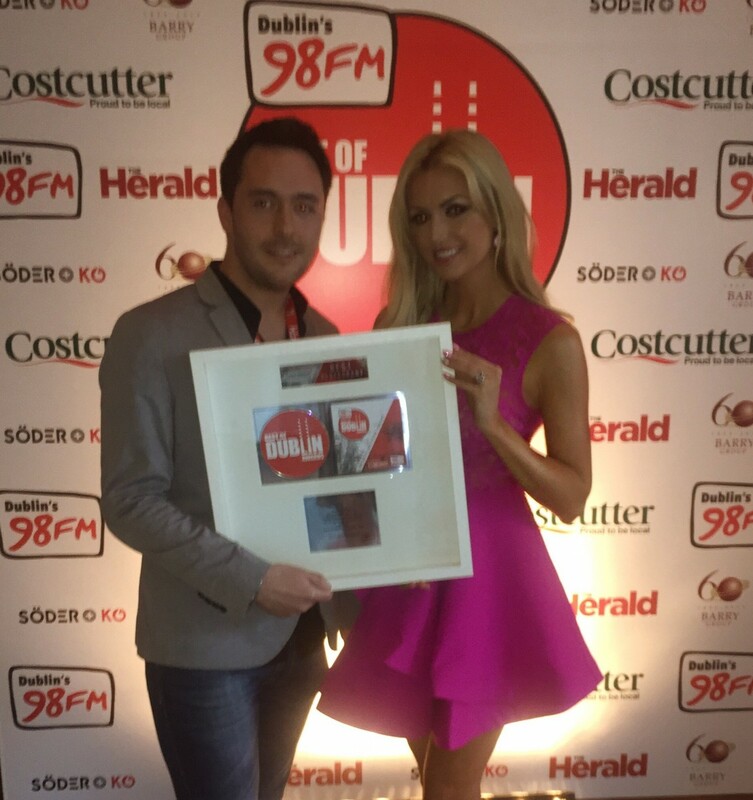 Anthony Nolan, of Brasserie Sixty6, was thrilled with the award and looked utterly shocked when he went up to accept his prize! And my hair was done by Lisa and John in Ceira Lambert’s salon. 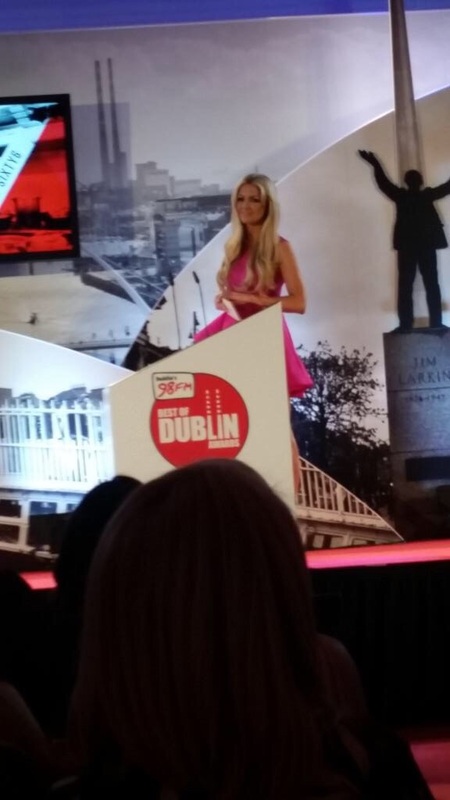 Thank you so much to 98fm for having me and well done again to all the deserving winners!